When my brother Matthew and I were the age that millennials are now, the term had not been coined, and it was a very different world. When the word “millennial” is uttered these days, an image may pop into your mind of a narcissistic or entitled kid. But, let’s try looking at this generation in a different way. According to Pew Research Center, millennials actually value connectedness and diversity. They’re more open to change than other generations, and they’re on track to be the most educated generation yet. All three qualities make them assets to a startup environment. Some leaders tend to write millennials off as job hoppers because they show low tenure at companies, but their track record in this respect is consistent with that of other generations during the same time frame. No generation has quite regained the length of job tenure the workforce saw in the 1980s and ’90s — and that includes the most senior workers. What does that tell us? That it’s the working environment that needs to change, and millennials are just the ones who finally had the nerve to say so. Related: Did Millennials Kill the 9-to-5 Workday, or Just Point Out That It’s Dead? Through hiring for several of our businesses over the past two years, I’ve realized that if you want to stay competitive, you need millennials at your table. 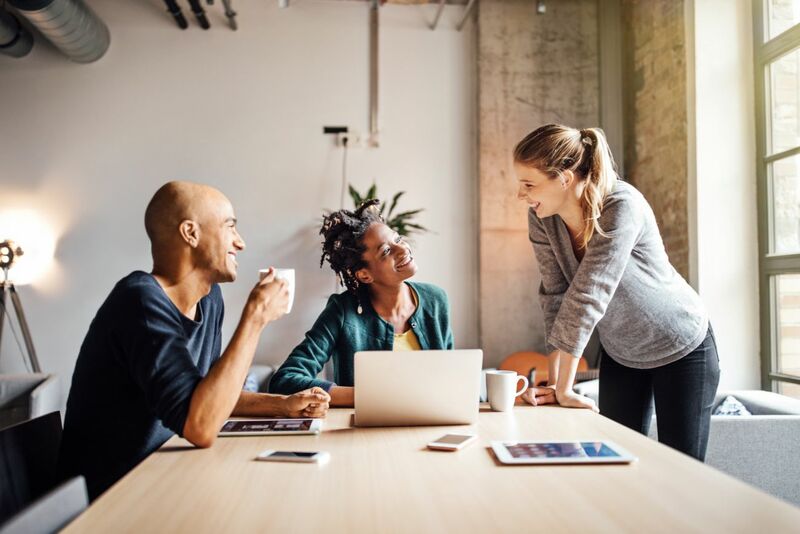 Here are few strategies for getting millennials in the door and creating a work environment that encourages them to stay. 1. Fix your feedback loop. Blame social media, but millennials move quickly, and they expect the world around them to do the same. A long, drawn-out learning process will leave them feeling bored and anxious. While it’s tempting to focus on the negative, giving specific and positive feedback is a better teaching tool with millennials. And when your startup is reaping the benefits of their growth, it’s a good move. 2. Show corporate social responsibility. Millennials love a good cause. It makes them more likely to shop with specific retailers and more likely to stay with their employers. A 2016 survey by the National Society of High School Scholars revealed that 46 percent of millennials felt corporate social responsibility was an important factor in choosing an employer. Why? They need to feel connected to their employer’s mission and vision. There are plenty of ways to do this, but just make sure your approach is genuine. It should be multi-layered. Give back from the top, but also provide team members the opportunity to get involved in community service themselves. Showing social responsibility at every level of the company proves your commitment to the vision you’ve put forward, and millennials will be more likely to stay dedicated to your startup as a result. 3. Step up your growth opportunities and pay incentives. Contrary to the lazy persona ascribed to them, millennials want to keep learning and growing. They seek out opportunities to improve their career and gain a diverse set of experiences. If they feel limited at your startup, they won’t let the door hit them on the way out. Offering incentives for continuing their education and broadening their experience will keep them interested. And yes, it’s about money, too. If your startup doesn’t pay a competitive salary or at least show promise for monetary advancement, there is another startup that will. It’s not just about giving millennials what they want; it’s about staying competitive in a hot job market. If you have skilled millennial talent, keep it that way by investing in their growth and treating them well. Your startup will only benefit in the end. 4. Set aside the stereotypes. No one likes to be stereotyped, and millennials are no different. Instead, wipe the slate clean and let your millennial employees prove themselves as individuals. It’s only fair. Plus, you might be surprised. For the sake of your startup, don’t set employees up for failure by letting your assumptions cloud your impression of them before they have a real chance to make one. Think about it this way. You wouldn’t want to work for someone who lumped you into a box, so it’s best not to do it to the people who come to work for you. You’re always going to have employees with different working styles — millennial or otherwise — but if you meet them halfway, they’ll bring skills to the table that can take you from a startup to a success story.